Was there ever a danger of Sauvignon Blanc going the same way as Chardonnay – of an ‘Anything but Sauvignon’ movement to match the ABC craze? Here’s the former Slate columnist Michael Steinberger, for example, mocking the grape's "chirpy little wines wholly devoid of complexity and depth … a limp, lemony liquid that grows progressively more boring with each sip." Articles with titles like '10 Alternatives to Sauvignon' are more and more common; I've heard independent merchants talking about increasing requests for a crisp white, 'but not Sauvignon'. But there's no evidence to suggest Sauvignon is in danger of even the smallest blip in sales. Bibendum, the Wine Society and many other retailers reports sales as strong as ever. A tasting (in July at London Cru, the capital's first urban winery) comprised 32 oaked wines from Australia, New Zealand, California, Chile, Loire, Bordeaux, South Africa and Turkey. All the wines had oak treatment of some kind. Some were barrel-fermented, some spent 10 months in new French oak barriques, others far less time, 50% second-use barrels, others eight month medium toast, others 15 months in old oak. … With oak, the variables are infinite. Looking down the list, a common factor was restraint. I didn't expect such freshness and restraint in the American wines, for example, although the New Zealanders showed their classic colours -- gooseberry, robust sweaty aromas, nettle and grass. Surprising also was the complexity on show: judicious use of oak tempers the green pepper or asparagus flavours that people can find offensive, and bring more of what UK critic Sarah Ahmed calls "the Bordeaux style, more lemon oil notes -- it's a striking feature." "Limp and lemony … devoid of complexity"? Not at all. The best of these wines have bracing acidity and fine complex fruit. I noted the following flavours: apple, pear, sour apple, sugared pear skin, honey, apple custard, fresh hay, salinity, river mud, lemon, lemongrass, apricot, sweat, earth. I used the descriptor "gooseberry" three times, "cat's pee" not at all. 8 mths in medium toast barriques, 50% new, 50% 2nd fill. A portion was fermented in neutral French oak barrels. Zelma Long says she’s reading a book by furniture maker Peter Korn, called Why We Make Things And Why It Matters. ‘He talks about his craft and how he uses his heart, his intellect and his hands and how this fulfills a basic human need to exercise the emotional, the physical and the intellectual.’ She finds winemaking the perfect route to this rather practical karma. The head, the heart and the hands. It’s tempting to stretch the analogy (possibly to breaking point) to see which of these roles is filled by the trio that founded Vilafonté. 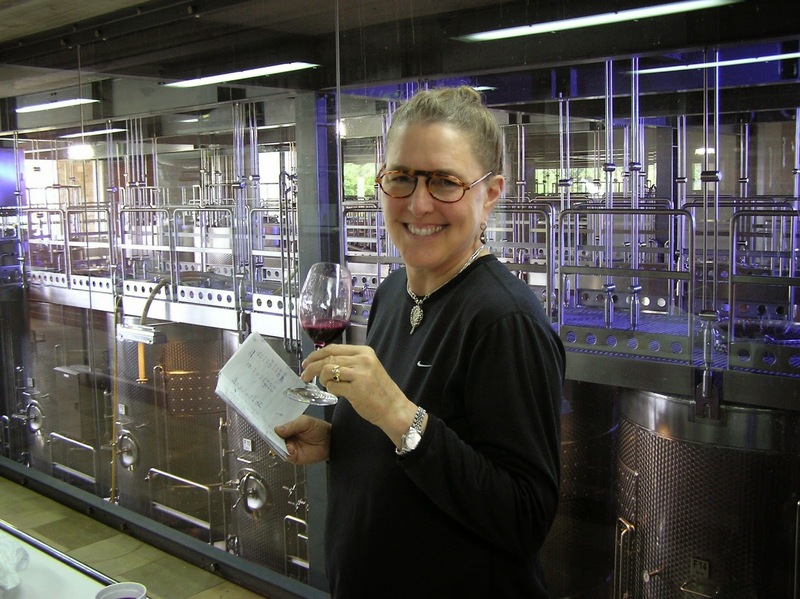 Long and her husband Phillip Freese met Mike Ratcliffe of Warwick Estate in Stellenbosch in the 1990s, and some time after that they decided they should make wine from the ancient soils of the northern flank of the Simonsberg Mountain. 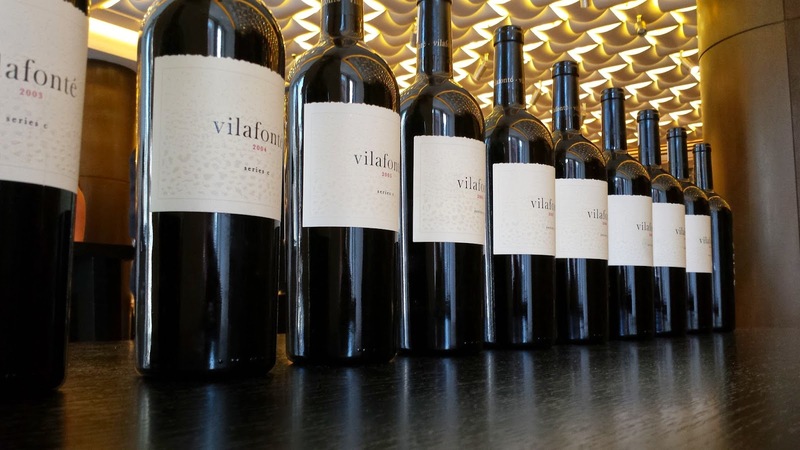 They bought 40ha in 1997, and planted to four Bordeaux varietals, leaving out Petit Verdot. ‘We knew the site would produce rich enough wines,’ Freese says. They share out the jobs: Long is the winemaker, Freese in the vineyard, and Ratcliffe on marketing. They’re very good at what they do. 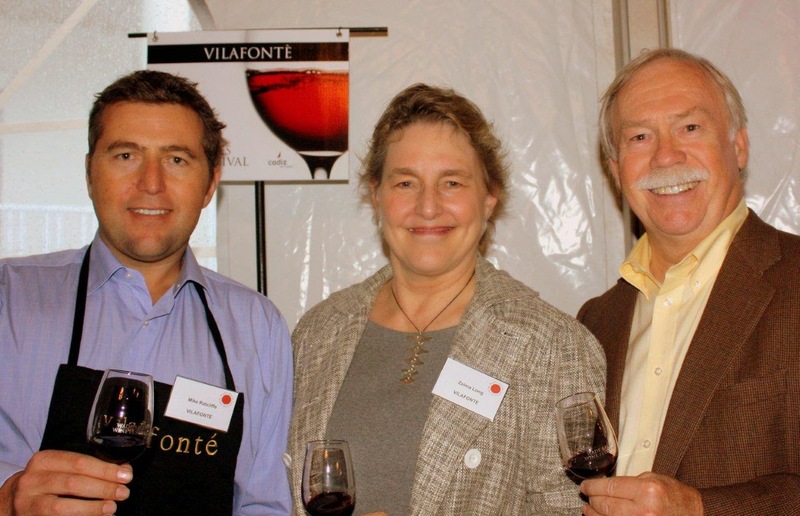 Ratcliffe for one is a tireless ambassador for the winery, for Warwick and for South African wine in general. The fact he’s a born marketeer is evidenced by the tasting mat in front of me, where each wine is labelled with a two-word plug, ‘seamless and firm’ for the 2010, ‘balanced and expressive’ for the 09 and so on. I’d say he’s the head, in our (stretched) analogy. 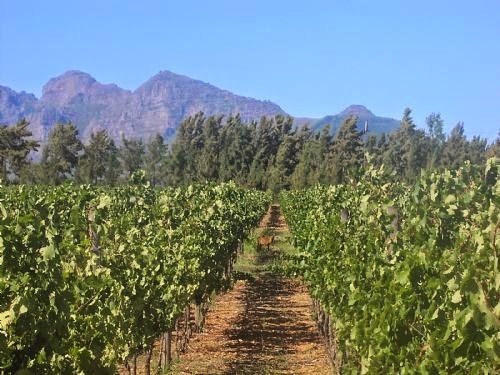 They make two wines, the Merlot-dominant Series M and the Cabernet Sauvignon-based Series C.
The vineyards are the highest-density in South Africa. Vines are stressed, berries are small and intensely-flavoured. ‘Smart wines,’ Robert Joseph said as we tasted. You have the feeling you’re in good hands. There was not a single disappointment in the ten-year line up. ‘We look for clarity and purity,’ Long says, and uses the rather lovely image of the ringing of a bell: ‘You get that brilliantly clear clear sound.’ And as with a bell, you know instinctively if there’s the tiniest flaw in the metal – a false note introduced in the clarity. There are none of those. Take the 2007, and early-ripening, low-sugar year, 74% Cabernet Sauvignon. At first you wonder where you’re going as your palate deals with the structure – the insistent tannins and bold acidity – then you catch glimpses of fruit, and you realise where you are, and can see the life ahead for the wine. Structure, elegance and purity of fruit characterise the wines. There is considerable vintage variation both in fruit character and tannic and acidic levels, as well as grape proportions. Cabernet Sauvignon is always the majority of the blend, but it can be as low as 51% (11) and as high as 75% (10). These are smart, modern (in terms of their structure), beautifully-made, serious wines, and they are astonishingly cheap, at less than £35 for later vintages. Wines of this quality, of this pedigree, from Bordeaux, or Napa, or, increasingly, Sonoma, or Tuscany, would be twice, three or four times the price. Wonderful complexity to the nose, salt and smoke, hints of balsamic, crushed raspberry leaf. Tannins soft at first then getting grip but never overwhelming. Juice released in sweet and sour spurts, tannins gripping and insistent to end. In 1992 Corney & Barrow did something that earned it the opprobrium of its peers. ‘Bastards, renegades and traitors was what our noble friends in London called us,’ Adam Brett-Smith, the wine merchant’s managing director recalls.What Corneys had done to provoke such fury was to break ranks and set up one of the first wine broking businesses in the UK. In those days broking – buying and selling on behalf of clients – was a cosy and lucrative business. As Brett-Smith puts it, ‘you bought from anywhere and sold to anywhere.’ No attention was paid to provenance, an issue of such all-consuming importance in today’s fraud-ridden fine wine world that it’s incredible to think it was once seen as a mere detail. In setting up Corney & Barrow Broking Services, the merchant turned that on its head. This of course put the comfortable practices of Corneys’ competitors into unwelcome focus – hence the string of pejoratives. In conversation with Brett-Smith, who joined the company in 1981 as a junior salesman and was made managing director before the decade was out, such epithets are the last thing which come to mind. A man for whom the word ‘urbane’ could have been invented, impeccably turned out, almost cartoonishly tall, he is the very picture of an Englishman. 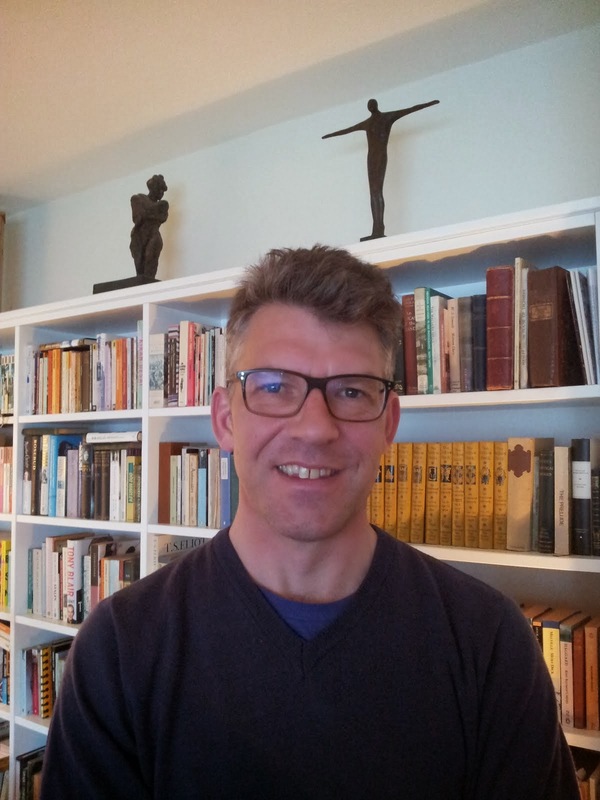 Does he – and the company – trade on that Englishness? 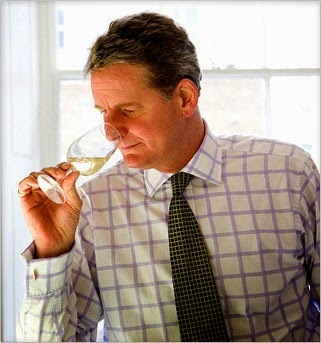 Corney & Barrow is the third in the triumvirate of great and long-established British wine merchants. Established in 1780, it is about a hundred years younger than Berry Bros and Justerini & Brooks. It has offices in Hong Kong, Singapore, Edinburgh, Yorkshire and East Anglia, and – under the Corney & Barrow Group umbrella, a thriving wine bar business. Turnover last year was £49.7m, with the eleven wine bars, all concentrated around the City of London financial district, adding £16.3m to the bottom line. Like its peers (between them they have just short of 800 years’ experience selling wine) Corneys appears both old-fashioned and resolutely modern. The first to set up a provenance-based broking service, it was also the first to recognise the importance of sole agency, a concept that was ‘much derided at the time’, Brett-Smith says. It started with Petrus in 1978 or 80, and taking on the Pomerol icon was something even they didn’t quite understand – ‘it was the exception that proved the rule’. A decade later Corneys wooed Aubert de Villaine, proprietor of Domaine de la Romanée-Conti, and set the mould for a strategy that is now the company’s unique selling proposition. Of the 600-plus wines on the list, there are 50 agencies, chosen using the simple criterion, ‘wherever good and great wine is grown’, and taking producers of 10,000 cases or less. If the list is impressive – DRC and Petrus, Comte Georges de Vogüé in Chambolle-Musigny, Domaine Leflaive in Puligny-Montrachet, Champagne Salon and Delamotte, Conterno in Piedmont, Dominio de Pingus in Ribera del Duero, Achaval Ferrer in Mendoza, Hyde de Villaine in Carneros, and dozens of other resonant names – there’s also something slightly claustrophobic about it. There’s barely a claret, for example, that doesn’t come from the J-P Moueix stable (Christian Moueix and Brett-Smith have known each other for years), and you’re hard-pressed to find anything from California that isn’t either Hyde de Villaine (a partnership between Carneros mastermind Larry Hyde and Aubert de Villaine of DRC) or bona-fide blue-chip like Colgin or Harlan, or indeed Moueix’s Dominus. Sisseck is anything but an iconoclast now – his latest vintage is on the list at not much less than £300 a bottle – and some may raise an eyebrow at the thought of Corneys as a champion of the derided and misbelieved. Keeping your clientele young is vital for survival in any business, as is looking to the future. Brett-Smith predicts that in generations to come (‘When I’m long gone’) his successors will be faced with two developments. The first is logistics. It’s quite possible that, as is happening in Bordeaux with Latour and others opting out of the negociant system, ‘domaines will access the end consumer without any intermediaries,’ and merchants must build storage facilities against that eventuality, just as the big negociants in Bordeaux are doing. ‘We have a shed in Scotland,’ he says. Brett-Smith will say no more, but he seems to have been right on a number of counts already, and there’s no reason to suppose he’s lost his touch. Navarra: Garnacha to the fore? 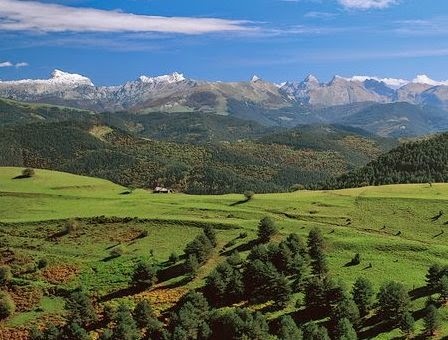 This diverse region struggles to compete against Spain’s most powerful brand, Rioja. Is it time to forgo the emphasis on ‘serious’ red blends and international whites so that its native varieties can come to the fore?